one of the few positive areas! Just days before new boss Dave Lewis was called up a month early, the food retailer warned of a further slide in profits and slashed the dividend by three-quarters. A couple of weeks later and news that Tesco had suspended four executives, including its UK managing director, after the supermarket overstated its half-year profit guidance by £250m. It launched an investigation headed by Deloitte. During this turmoil, the share price has taken a pummelling, falling over 40% from £3.34 at the start of the year to well below £2.00 in September. Today the company has issued its delayed interim results for the 6 months to end August 2014 (link via Investegate). The Deloitte investigation into the validity of the figures has now concluded, and has confirmed there was an overstatement in profit expectations of £263m. The impact to trading profit is £118m in the first half of this year, with a further c.£70m relating to the previous year and c.£75m relating to pre-2013/14 treated as one-off items within these results. In addition, the chairman Sir Richard Broadbent has agreed to step down, which I think was inevitable given the record under his 3 year tenure of office. Just wondering what his pay-off package will amount to? There was no hint of any decisions on the final dividend - I expect this will now come with the Q3 update in January - I am still hoping for something less severe than the 75% cut to the interim. 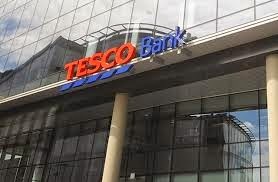 On the positive side, Tesco Bank's trading profit increased by 15.9% year-on-year to £102m, driven by strong lending growth. Excluding fair value releases, trading profit grew by 18.8%. Tesco's UK online sales continue to increase as do sales from the smaller convenience stores. Net debt increased by £500m year-on-year to £7.5bn. This included the impact of the reduced level of operating cash flow and the investments in the China and India joint ventures. The increase was partially offset by the disposal of China net debt and lower capital expenditure. The management have ruled out a rights issue to bolster the balance sheet so I imagine they must be looking to raise capital from disposals of non-core assets - maybe Dobbies garden center would be a good place to start? 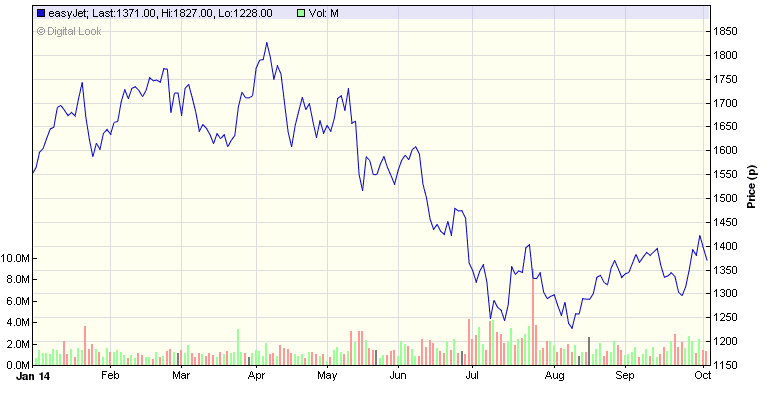 All in all, a pretty gloomy picture and it looks like I was too hasty to jump in with my top up of shares last month. However the turnaround is underway and although there are sure to be a few more bumps along the road, I have every confidence the new CEO and his team can get things back on track. Sainsbury went through significant problems over a decade ago before finding stability again and restoring the dividend and shareholder value under Justin King. Tesco is still a very large business whose fortunes can and will be restored. At the time of posting, the shares are down 5% at 173p. Once again, patience and a focus on the longer term outlook is the order of the day. More on this in early January. Be interested to hear what others think of Tesco - feel free to leave a comment below. 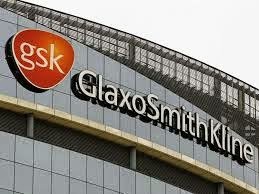 GlaxoSmithKline is a large global healthcare company employing around 100,000 people in over 100 countries. It emerged in its present form in the year 2000 from a merger between Glaxo Wellcome and SmithKline Beecham. GSK has today issued third quarter results (link via Investegate). Q3 sales and profits are lower as weak trading in the US and Europe overshadowed a strong performance in emerging markets. However, core earnings per share (excluding divestments) lifted 5% at constant exchange rates (CER) to 27.9p in the third quarter, but were down 2% to 68p in the nine months. Q3 revenues fell 3% at CER and 10% in total to £5.6bn and core operating profit dropped 1% CER and 6% in total to £1.9bn. Pharma and vaccine sales fell 3% but emerging markets rose 12% and Japan was up 6%, offset by a 10% fall in the US and a 2% decline in Europe. The shares have struggled this year falling from £16.15 in January to around £13.50 before today’s results. Over the past three months, GSK’s share price has slumped some 15% , compared with a 5% fall for the FTSE 100 over the same period. The business has been badly affected by allegations of bribery in China, requiring it to pay a fine of $490m, as well as the expiry of some patents. GSK said it was now targeting £1bn of annual cost savings over the next three years aimed at "refocusing" the business. It also said it would explore a possible flotation of ViiV Healthcare, a division focusing on treatment for HIV, to "enhance visibility within the group". The firm also reiterated its financial outlook for the full year, saying core earnings would be "broadly similar to 2013". GSK pays quarterly dividends. It declared a third interim dividend of 19p, unchanged from a year ago. The final dividend is expected to be 23p making a total for the year of 80p - an increase of 2.6% on the previous year. The company also announced that the 2015 dividend is expected to stay at the same level as this year. However, the good news is the announcement of a proposed return of £4bn to shareholders next year via a B share scheme - I calculate this to be worth around 82p per share. This is expected to conclude in the first half of 2015. The results have been well received by the market and at the time of posting the share price is up around 3% to £13.85 and the current yield is 5.7%. As most readers of this blog will know, I am a big fan of investment trusts when it comes to providing a steadily rising and predictable income. It was therefore no surprise to read today’s article on the AIC website which shows that income from the average trust in the UK equity income sector over the past 20 years has outstripped inflation by over 2% per year. This may not sound like much however when looking at the start figures for both income as well as capital, the comparison is compelling. The data starts with a lump sum of £100,000 in 1994 - this was shortly before I bought my very first investment in City of London Trust. In year 1, it provided an income of £3,265, a yield of 3.26%. 20 years later and the income has risen to £8,139. The annual income grew by an average of 5% every year compared to an average inflation rate over the 20 yr period of 2.9%. In addition to the total income generated over the period of £113,664, the capital value of the lump sum has risen from £100,000 to £222,315. Therefore a total return of over £235K and compound annual growth (CAGR) of 6.23%. I have just made a quick calculation of the projected returns from my inv. trust income portfolio. Taking the round figure of £34,000 from the most recent update in August, and projecting forward 20 years with the same CAGR, if I have done the maths correctly, the value of the portfolio in 2034 would be just over £113K. I regard my basket of investment trusts as the equivalent of an index-linked pension annuity with the advantage that, in addition to the growing income stream, I retain control of my capital which will give many more options in the years to come. As an investor mainly focussed on dividend income, I like to keep up to date with UK market trends and statistics relating to dividends. The quarterly reports from Capita are an excellent resource. 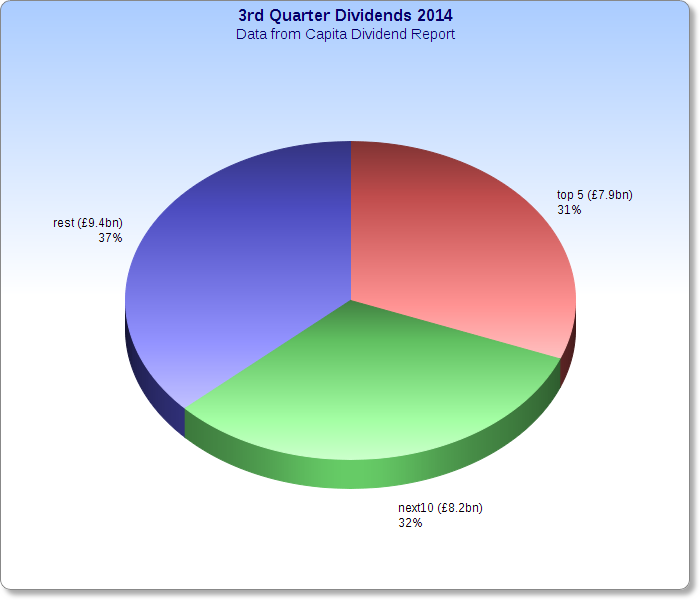 Capita Dividend Monitor have recently issued their report for Q3 of 2014. The report compares dividends paid by UK companies and also looks at predictions for the full year. Leaving aside the one-off effect of the Vodafone distribution earlier this year, headline dividends have advanced 6% including a number of special dividend payments, with underlying dividends ahead 3% year on year. As we know, dividends in the current climate have been held back by the strength of the USD v GBP. The pound has dropped 10c against the dollar over the past 3 months. Amongst the top payers for example, Astrazeneca and HSBC saw a 10% and 9% negative impact year on year respectively. Dividends from companies outside the FTSE 100 have shown some promise this year. The smaller but faster growing constituents from the FTSE 250 increased payouts 7.6%. However, mid cap dividends only account for 9.3% of the UK's dividend total. 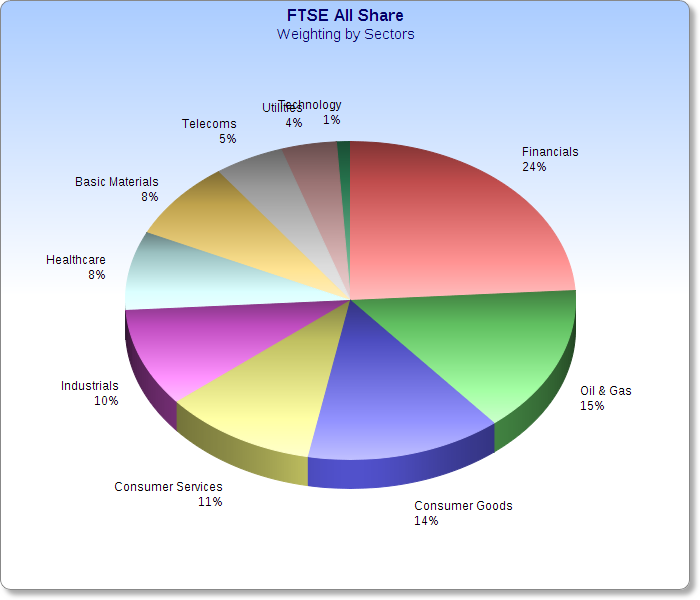 The vast bulk of dividends are paid by the 'big guns' of the FTSE 100 - indeed, some 31% is paid by just FIVE companies. The forecast for the full year has been revised down from £101.8bn to £97.1bn (headline) The main reduction is a figure of £3.5bn being knocked off the previous forecast due to negative currency exchange rates. The underlying level is forecast at £79.3bn, 1.7% ahead of the previous year. The current forecast for 2015 is a lttle more promising with the prospect of an increase in underlying dividends of 5.5% to £83.7bn. Although the rising value of the GBP is dampening down the dividend returns this year, it must be remembered that dividends have been bolstered by the falling pound since 2008 and this has been a benefit to UK shareholders. These things have a way of balancing out over the longer term. I will be very happy if my dividend income rises 6% over the coming year and inflation remains at current levels of around 2%! The markets all around the world have seen a sharp sell-off in recent weeks. 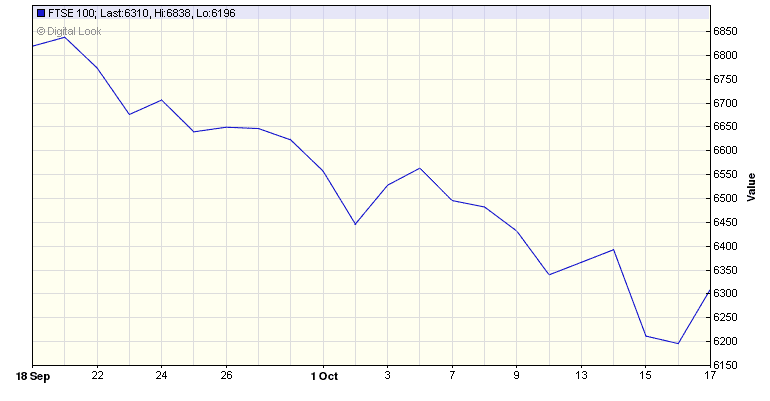 At one point, the FTSE 100 was down around 10% on the past month before staging a recovery yesterday. Inevitably the media goes into predictable overdrive with warnings of crashes, and reminders of doom and carnage. For the average small investor, the combination of seeing your recently purchased portfolio of carefully selected investments lose 10% of their value in a matter of a couple of weeks together with media stories of more to come will create understandable anxiety. Some newer entrants to the world of stocks & shares may have been lulled into a false sense of security over the past couple of years as the markets have been broadly rising and the wider economic news has been more positive. 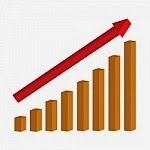 However, all investors know (or should know) that investments will rise and fall. Anxiety can lead to uncertainty - as a species we are not very well equipped to deal with uncertainty, so I believe perhaps one solution to the problem of coming to terms with market volatility is to approach investing from a position of absolute certainty - markets will go up… and then go down. The other certainty is that no matter how far the markets fall, and then fall some more, in the long run they always bounce back. For me, the main reason for investing my money on the stockmarket is to secure a better inflation-proofed income than I could get from bonds and cash deposits. I don’t particularly relish market volatility but I am learning to take it in my stride a bit better than I did in the earlier years of my investing career. 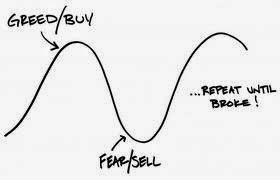 For the day trader, share price/market volatility is where the action is and where quick profits are to be made (or lost!). For the income investor, falling markets will provide opportunities to secure a better yield but in general, so long as the dividends keep rolling in on a reasonably predictable basis and so long as those dividends keep increasing year-on-year a little ahead of inflation, I am happy. The prices on my individual shares and investment trusts have mostly fallen by around 10% or so on average in recent weeks - some shares will have lost more than this, Hargreaves Lansdown, DS Smith for example. However, it looks as if my like-for-like projected dividend income for this year will have increased by around 8% compared to 2013. Of course, the current market volatility may continue for some time but at some point, maybe later this month/year, or sometime next year, the markets will bounce back and normal service will be resumed. Some media commentators equate volatility with risk. I think this is confusing two separate issues and tend to agree with Warren Buffett when he said “Risk comes from not knowing what you are doing”. This is not the same as the inevitable rise and fall of markets and share prices - it is what they do just as night follows day. I read a piece in the Telegraph last week which ended with the words “Short-term volatility is the price that stock market investors pay for long-term out performance”. Not sure where the original quote comes from but just about sums it up for me. Take it easy this weekend! NCYF has been a part of my SIPP portfolio for a number of years. It invests in high-yield fixed-interest securities and has produced positive NAV total returns and increased dividends in each of the past five years. The trust has a widely diversified portfolio, including some high-yielding convertibles and equities, with useful exposure to floating-rate notes to guard against inflation. Building on the previous years 7.4% uplift, the Company's net asset value has again seen an increase of 3.1% to 62.4p; when this capital measure is adjusted for the payment of dividends of 4.21p (4.1 p - 2013), the NAV total return was 10.3% ( 2013 - 14.9%). The share price total return was 13.7%. 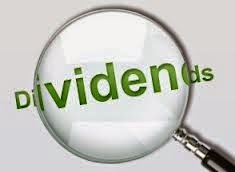 Dividends have been increased by 2.6% to 4.21p giving a yield of around 6.4% based on the current share price of 65.5p. The dividend is more than covered by earnings of 4.76p per share and revenue reserves are 136% - the equivalent of 16 months current dividends. As in previous years, the trust continues to trade at a premium to net assets and the management have placed new shares earlier in the year raising £30m. This has helped to increase the trusts market cap. to around £190m and also reduce the percentage of ongoing charges for the year from 1.18% to 1.12%. This reduction is, of course, as a percentage of net assets and in real terms, total expenses increased from £1.74m to £2.04m. With a great deal of turbulence hitting the equity markets in recent weeks, it's reassuring to have the steadying effect of the fixed interest constituents in my portfolio. I have not made a contribution to my basics section for quite a while - this is deliberate as I want to maintain a degree of simplicity. However, as I have been looking at the sector weighting of the various shares in my portfolio, I thought this subject may make a useful addition. The FTSE 100 is an index made up of 100 companies listed on the London Stock Exchange with the highest market capitalization. Taking the FTSE 100 as an example, the top 10 shares account for around 45% of the index's value. These same 10 names would account for just 10% of the value of an equal-weighted version of the FTSE 100. Similarly with the Euro Stoxx 50, the top ten shares account for almost 40% of the index value compared to 20% of an equal-weighted version. 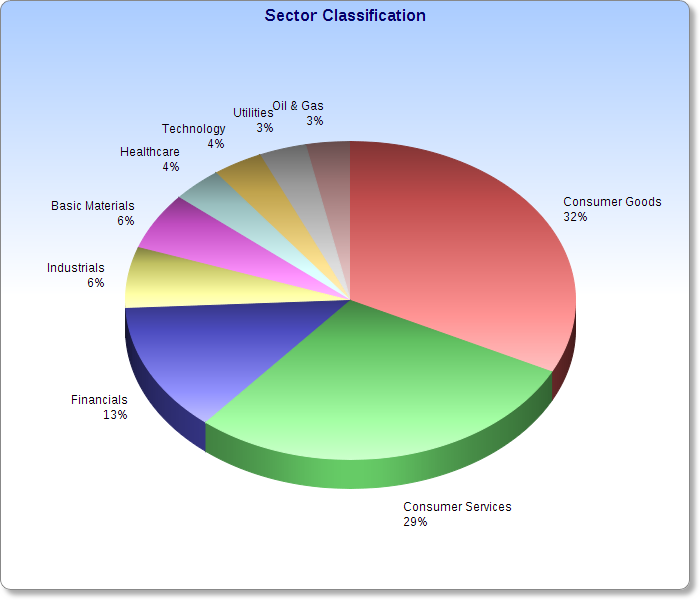 Because a small number of very large companies dominate the index - Financials (HSBC, Lloyds Bank), Oil & Gas (BP, Shell) and Consumer Goods (tobacco shares, Unilever, Reckitt) are all 'overweight' - it is inevitable that smaller companies represented in the other seven sectors are all 'underweight'. The vast majority of trackers available to the average retail investor are cap-weighted. For much of the time, this probably does not make a difference, however at the time of the Macondo well disaster in 2010, BP’s market cap was nearly 10% of the FTSE 100 and when its share price fell 50%, it knocked 5% off the value of the FTSE. Some suggest that because we cannot know which sectors will do well in the future and which will decline, it would be more sensible to operate an equal weighted index. Maybe this is more logical but such an approach would itself not be without drawbacks- for example, it can be argued it gives more prominence to smaller companies which can be more volatile and less resilient to difficult economic conditions compared to the larger companies. Whilst investment managers and small investors in individual companies are of course free to choose the industries they invest in and the weight they give them, investors in trackers have to live with the sector skews of the index. Managers of active funds/trusts will have a plan of what weighting to hold in various sectors. By monitoring these weightings according to market conditions and making adjustments from time to time, they hope to gain an advantage for their investors. For example, in my holding of Edinburgh investment trust, the current weighting is Consumer Goods 22.1%, Financials 20.1%, Healthcare 20.0%, Industrials 16.7%, Consumer Services 6.3%, Utilities 6.3%, Telecoms 5.7% and Oil/Gas 2.8% - no weighting for Technology or Basic Materials (mostly miners). Whether you choose active investing, passive trackers or a combination of the two, I think it is always a useful exercise to know what you are holding in your portfolio and how it combines to give a bigger picture. If you keep track of your portfolio weighting and have a preference for some sectors over others, feel free to leave your thoughts/comments below. In a pre-close trading statement this morning, easyJet reported that profits for the second half have been revised up from between £545m and £570m to between £575m and £580m, after seeing around a 2% increase in revenue per seat and its unit fuel costs totalling around £2m in favourable terms compared to its previous expectations of an adverse £5m. The group has also benefitted from the Air France pilots' strike in September, which is expected to increase EZJs revenue by around £5m. Last month the company said it was also proposing to increase the proportion of its profits after tax paid in dividends from 33% to 40%. CEO Carolyn McCall said: "easyJet has continued to execute its strategy, delivering another strong performance in the second half of the year. 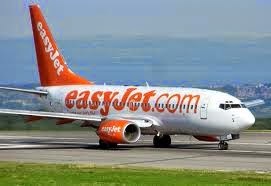 This has enabled easyJet to deliver record profits for the fourth year in a row. We finished the year strongly. Our performance demonstrates our continued focus on cost and progress against all our strategic revenue priorities and further emphasises easyJet's structural advantage against both legacy and low-cost competition". The budget airline anticipates that at current fuel and exchange rates, its unit fuel bill for the first six months of financial year 2015 is likely to decrease by around £20m compared to the half year ended 31 March 2014. In addition, exchange rate movements are likely to have around a £10m favourable impact compared to the six month period. The airline also posted its September passenger numbers, which showed a 7.5% increase in year-on-year passenger numbers. The share price has seen quite a dip in recent months falling from a high point of £18 in April to below £12.50 in August. This mornings news has provided a boost and at the time of posting, the sp is up 6% at £14.55. Last year the full year dividend was 33.5p plus a special dividend of 44.1p - I’m not sure whether they will repeat the special this year but have pencilled in a figure of 45p for the final which would give a fwd yield of 3.1%. More on this following the final results on 18th November.